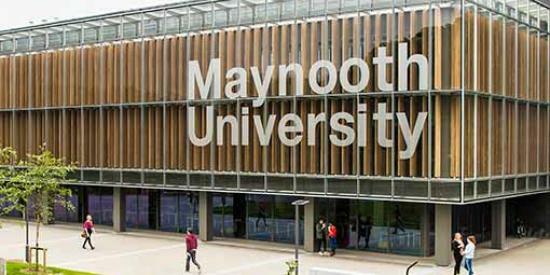 Maynooth is located in north Co Kildare, 24km west of Dublin city centre on the M4. There is ample free parking on the campus and although there are signs designating permit parking, these do not apply during the period of the conference as the institution is on its Easter break. The conference will be held in the Iontas Building on the North Campus of Maynooth University which is the newer campus. There is parking directly behind this building. For a campus map please click on this link. The nearest car park to the Iontas Building is car park 5a so please use this or one near to it. Maynooth is easily accessible by public transport, with excellent rail links (the train goes from Connolly Station in Dublin city centre) and bus links.